When Luchini dropped in 97, it seemed like you two had been doing this for a long time. Is that the case? How did Camp Lo come about? Geechi: Nah, that really wasn’t the case. I started out as a solo artist and Chee was always there helping me out with ideas and one day we just decided to try it together and not too long after that, we dropped “Cooly High” in ’96. How’d you come up with the name Camp Lo and what’s the meaning? Cheeba: We used to roll dice for pushups, so it started off as C Lo but we found out that there was a cat in ATL by the name of C-Lo Green, so we couldn’t use that. So we changed the ‘C’ to Camp. Since Uptown Saturday Night, you’ve been releasing music without major label support. What are the pros and cons of going indie? Cheeba: Freedom – sonically and visually. It was like open season. We could do whatever we wanted to do. But when you’re in that other [corporate] machine, you have to do what they tell you to do. You’re like a puppet for A&R. Your new album, Ragtime Hightimes, has a variety of different sounds, when you and Ski Beatz teamed up for this one, what was the concept or theme behind it? Geechi: Ragtime Hightimes in a Padded Room of Pink Elephants Playing With Spiked Mushrooms is the full title. Cheeba: Ski – I mean, he’s the third member of “Lowa” – as we grow, he grows. So when we hop in the studio, it’s like we haven’t gone anywhere. We pick up where we left off. As far as the album, it’s different because we have live musicians. We got some live horns, keys and some guitar, so that aspect of it is a little different. Geechi: Yeah, the last album was so “boom bap” we wanted to make this one a little more melodic with the live instrumentation. We’re pretty much picking up where we left off but going somewhere different. What track speaks the most to who you are as artists and individuals? Cheeba: That’s a good question, Jack. Geechi: I know, man. Damn. When the good questions do come, they’re hard to answer. I will say that, off this album, it would be “Bright Lights.” I only say that because it’s gives me the feeling of just what we captured so long ago when I knew that we had something, you know? Cheeba: We’re not here to duplicate something we’ve already done. The contrast between your music and others is likely longevity. You take the time to produce classics. How does your music fit in today’s industry? Geechi: Um, I try not to look at it too deep. I feel like we touch enough people, praises be to God, to always have a platform to put our stuff out there. And at the shows, the age range of the crowd gets younger and younger and we can see that we’re tapping into the next generation of minds who are happy to absorb our music. It’s just a blessing to be 20 years in and still have love for it and still be received with love. 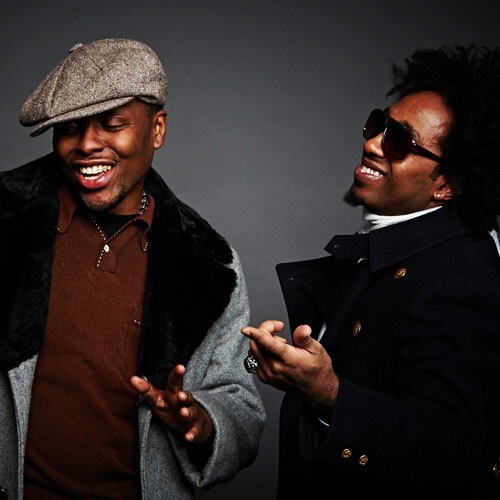 What’s next for Camp Lo? Cheeba: Well, we’ve already dropped three videos thus far and we have three more coming. The ones that we’ve already dropped, we definitely had to have the visuals match the sonics and theses next three are going to do the same thing. Geechi: We’re going to continue to push this record, tour it and start working on the next one – like yesterday. Cheeba: We got a treat for cats on this next project though, so get ready! Did Diddy and J Cole Scrap After VMAs?! Omg thanks for that exclusive interveiw Freddyo I wondered what was up with Camp Lo I got tracks on my phone when Im on my laid back those brothas are very talanted and underated but to most of us we know what real music and talent is.Camp Lo keep doing yall thang We listening ! Ooh and by the way “Bright Lights”will be purchased and downloaded ! I love it !